If the question on Family Fortunes was ‘We asked 100 people to name any bookmaker in the UK’ – you can bet more than half of them would have said Ladbrokes. The company that began life way back in 1886 is now part of one of the biggest gambling conglomerates in the world. Their website offers a huge Sportsbook, a Casino, and a downloadable Poker product to name just a few; and they are one of the few bookies to have as strong a presence offline as online, running over 3,700 betting shops countrywide, and as synonymous with the UK as fish and chips. 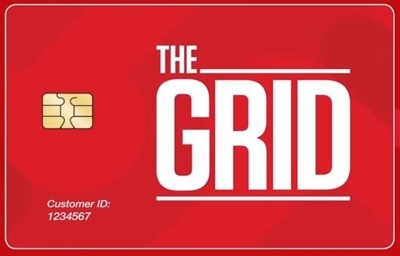 Their innovative invention, The Grid, has successfully linked their real world and online offerings and proved very popular with punters, who also benefit from Ladbrokes superb Football betting markets and easy to use in-play area. A bookie that appeals to old timers and the modern day gambler alike, Ladbrokes have somehow managed to straddle the past and the future with panache and offer something to please pretty much every type of bettor. Odds at Ladbrokes won’t blow you away, but they are typically above average across the board, and there are daily specials to take advantage of that can increase profitability. Plus, Best Odds Guaranteed is available both on the Horses and the Dogs so if those are your kind of markets you know you will get the best price here (UK and Ireland races only). Odds are only available in Fractional and Decimal formats, however. What Ladbrokes may lack in the way of juicy odds they more than make up for with market range and betting choice. A list of around 35 different sports categories contains all of the popular sports as well as a few curve balls like Gaelic Football and Handball; as well as a good selection of topical specials – ‘Will it Snow on Christmas Day’ being one example. Plus, if you don’t see something you are looking for you can request it, and Ladbrokes will pop it on the site for you and everyone else to bet on under the #GetAPrice tab. This is a particular strong point for the bookie and allows the punter a sense of ownership and even pride if your bet proves popular with others. Another strong point is depth of markets; you can bet on pretty much every kick of every ball in any organised football game in the country. Who knew that Bamber Bridge was a place with a football team? Well it is, and there are scores of markets available for their next fixture. The clash of titans that is Doncaster vs Chorley boasts a stonking 174+ future markets, so you can see that these smaller games are not just token offerings. What’s more, this coverage extends into other countries where Football is a popular sport so you can bet on lower league fixtures in France, Germany, Spain etc, too. Tennis matches from at least 15 different competitions are available to bet on most days (albeit with far fewer markets), while Cricket and Golf also receive adequate attention. The Horses and Dogs categories are equally fantastic for ante-post and in-play betting, offering bets on meetings from around the globe. 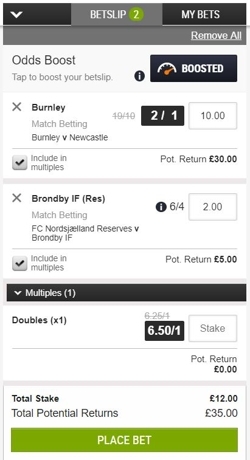 The sort of odds offered on in-play fixtures are known to be creative at Ladbrokes so you might find markets not available elsewhere, and the prices themselves – especially for Football – are top of the table. You can count on one hand the bookies that offer better, and even then, the difference is miniscule. 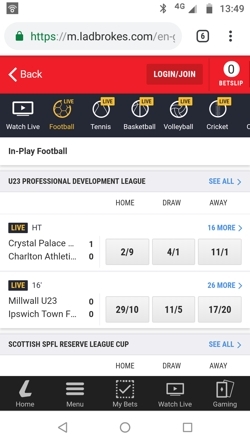 Live Streaming is widely available although you will need to have a funded account or have placed a bet in the last 24 hours to take advantage of the service. In the case of Horse and Greyhound Racing you will need to have placed a nominal £1 bet. 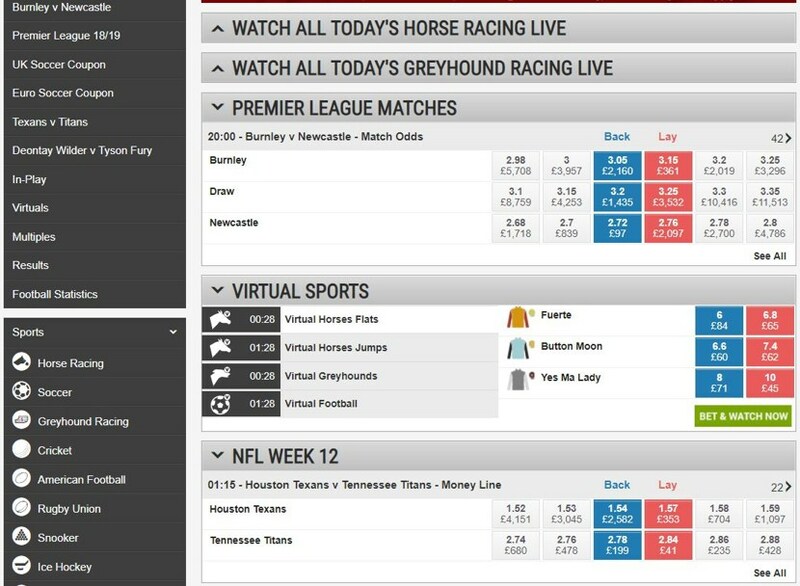 Ladbrokes offer streaming on a wider variety of sports than a lot of other bookies, although within that the number of streams is fairly small – Horses and Dogs aside. Still, you can count on high-quality live streams on top Football matches both at home and from Europe, as well as major Tennis, Basketball, Darts, and Rugby fixtures. Where streaming isn’t an option the live graphic will keep you at the centre of the action. It’s a lively product, to say the least, and will update and adapt more frequently than others on the market, making it much more exciting to use. The only sport that benefits from this is Football, however, whereas everything else has to settle for a simple scoreboard. 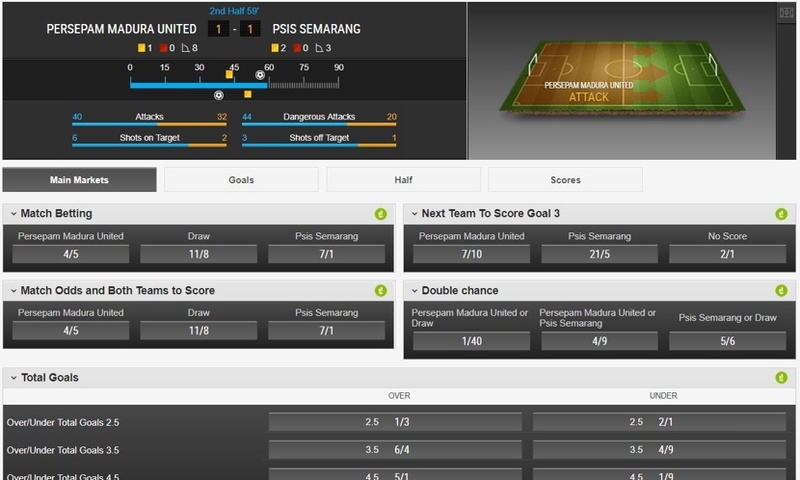 The In-Play area itself is very user friendly, probably one of the best we have used, in fact, highlighting live odds updates with colour changes and allowing the customer to bounce from sport to sport and fixture to fixture with ease. Live stats info could be better, but there is a handy Upcoming list so you can plan your activity, and Cash Out is readily available and clearly denoted. It’s a good job because at it’s busiest the In-Play area can be home to hundreds upon hundreds of events every day. Let us open by saying that there are no fees attached at Ladbrokes. Big thumbs up for that. There are lots of options when it comes to payment providers too which means you have plenty of flexibility in funding your account – coupled with The Grid you have more control than ever. The issue with a company as big as Ladbrokes is consistency. With so much content to manage things can get confusing, and as a result we found some contrasting limits that we couldn’t get a definitive answer on even from the customer service agent. Still, the table below shows things as clearly as we could put them, and as you will see none of the limits mentioned are restrictive. We would advise talking to Ladbrokes first, however, if you are planning to move any large sums of money. This is something Ladbrokes are not short of. Aside from the fact that you probably have a physical Ladbrokes shop within walking distance from your house (there’s a Shop Locator if you aren’t sure), the company also offer a decent online stats service that they like to call Touch Line, as well as a Bet Calculator if maths isn’t your strong point, plus a Results service – all available from the home screen. The Grid is an innovative multi-purpose loyalty scheme of sorts, which offers a number of benefits to the existing customer. With so many new customer offers flying around it’s good to see loyalty being rewarded here. If you are going to be using Ladbrokes regularly it makes sense to sign up, and it’s free. Functionally, its purpose is to link your online account and the wallet in your pocket. You can withdraw a winning online bet in store meaning instant cash in your hand, as well as depositing cash in store and then using it via your online account on the move. You can cash out in store bets on the move, track acca’s, and scan your bet slips to give you as much control and flexibility as possible when betting. It gives you total freedom. As a loyalty scheme, The Grid will award you points as you bet and/or play. These develop into rewards which can change frequently, but some in the past have included discounts at pubs, restaurants, and cinema’s; as well as cheap passes to use Now TV and watch that big fight. On top of this, there are a number of promotions and bonus bets exclusive to The Grid, for use in store and online. You will receive a physical card when you sing up, but if you are worried about yet another card to cram into your wallet you can just download a virtual version onto your phone. It’s silly not to sign up really. One for the more experienced bettors among you, the Exchange is a great feature that effectively eliminates the bookmaker and lets punters bet against each other. It can feel a little daunting if you have never looked into it before, but it is well worth soldiering on because once you get to grips with how it works it opens a whole new world of betting opportunities. The main reason Exchanges are popular is because you can usually find better odds since they are controlled by the punters rather than the bookie. The bookie just takes a small commission of the bets that are placed. Ladbrokes commission rates are in line with most others in the industry. They share their platform with Betdaq, which is a dedicated betting exchange, so there is plenty of activity and you shouldn’t struggle to get your bets matched. The sports you can bet on is smaller than on the regular site, but all of the popular sports such as Boxing, Cricket, Tennis, Football, Rugby, Horses, and Greyhounds are there – as well as Specials and Political markets. The layout and interface feels familiar as it is more or less a scaled down version of the main website, so once you get your head around how an exchange works you should have no trouble at all. If you enjoy betting on runners that don’t have a pulse then you could certainly do worse than Ladbrokes’ Virtuals area. The range of sports is fairly typical – Football, Horse Racing, Greyhounds, Speedway, and Motor Racing – but the graphics are great and we also loved the layout. Events kick off every 3 minutes and tend to be interesting enough to watch, with varied and well performed commentary. Betting options are as limited as ever with virtual betting but some of the teams can have rather amusing names. The Exchange allows betting of Virtuals and the selection is actually slightly improved, with Cycling thrown into the mix. Something would be going very wrong if Cash Out wasn’t an option at a bookie the size of Ladbrokes. Thankfully, it is there in force. The Cash Out price will be different to the price you took when you originally made the bet and will reflect the situation as it currently stands. It changes all of the time so if you see a price and you want to bail out and take it, act fast. Since the millennium Ladbrokes have also hosted an online Casino, which can now claim to offer over 600 games from Slots, Table Games, Scratchcards, and a Live Casino. The Casino is powered by Playtech and is available as a download or as instant play, and further games are available in the Slots and Games areas. There is a loyalty programme in place as well as some individual promotions, so if online gaming is something you like to dabble in alongside your sports betting then read of full Casino review here to get the full picture. 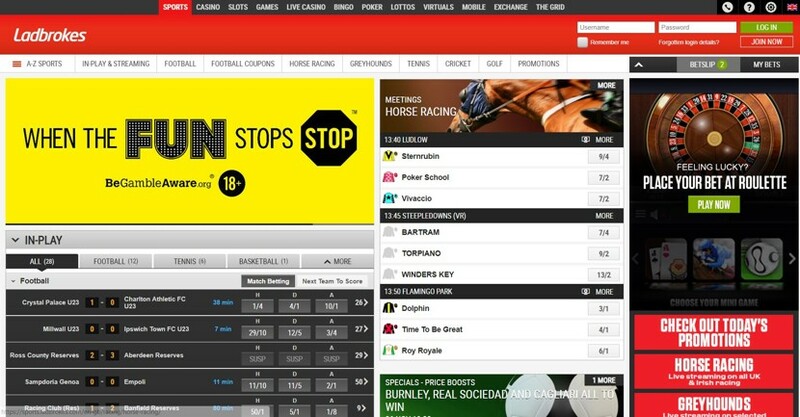 Ladbrokes deliver a website which is easy to look at and feels natural to use. They have perfectly balanced the need to display a lot of detailed information with the need for that information to be displayed clearly and also to come at the right time. The A-Z of Sports glides in and out of the page as and when you need it, which coupled with the quick Links, helps navigation no end without taking up valuable screen space. This leaves each screen feeling full but not cramped. Each sport has its own Homepage of sorts, showcasing the main events of the day alongside future fixtures, which allows the customer to take in the landscape at a glance before zeroing in on one particular fixture. You can also narrow down the content within each sport by competition or country if these options are available. White and soft greys are used along with collapsible menus to make clear distinctions from section to section, and allow some ‘cleaning up’ to be done if the page is looking too busy. This all functions incredibly smoothly, with very few stutters along the way. A hard working Betslip allows punters to easily keep track of their activity and potential earnings from bet to bet and in total. It contains a few interactive features such as a Boost meter (which the punter must opt in for) and allows you to track acca’s and previous bets. 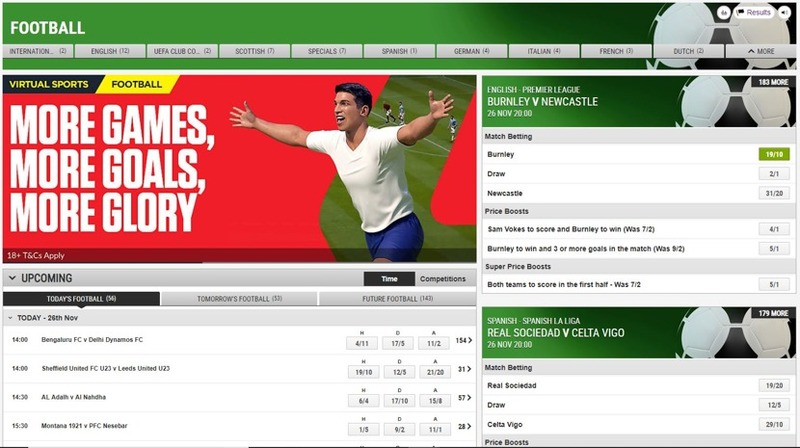 The site runs on the OpenBet platform, which does a lot to explain why it runs so efficiently. OpenBet are one of the top dogs in the industry, processing more bets each year than any other provider and winning awards left right and centre. Their long relationship with Ladbrokes has clearly born fruit, with the bookie utilising what OpenBet can offer to the max. The mobile website is an excellent companion to the desktop website which feels familiar to look at and instinctive to use. A selection of collapsible menus and scroll bars join navigation and organisation hand in hand so that the user can access the information they need quickly and without unnecessary extras getting in the way. We were also impressed with performance, as the site kept up with us changing our minds and going backward and forwards without getting stuck or running into any accidental loads – i.e we didn’t end up hitting buttons unintentionally by going so fast that the site couldn’t cope. Apart from the red branding, the site uses the same white and faded greys to distinguish between different areas/buttons, so that when they want to highlight something by using a splash of colour it really stands out. This is superb for quickly spotting Price Boosts, Watch Live options, Cash Out, and Extra Place notifications etc. Quick access to My Bets is available from the footer and anything else you need that isn’t automatically in view will be tucked behind the Menu button. This is a great no-nonsense offering from Ladbrokes, that functions incredibly well under pressure and is packed with features and content. It’s not flashy or showy but it is intuitive to use and reliable under pressure. Messrs Schwind and Pennington were commission agents for horses trained at Ladbroke Hall when they formally opened the company now known as Ladbrokes back in 1886, but it wasn’t until 1902 when one Arthur Bendir joined the company that the Ladbrokes name was first used. In the early stages of the company’s life, it was mainly the high class gentlemen of the time that used Ladbrokes – a far cry from the smoky flat cap filled betting shops of the 70’s and 80’s – and they were something a specialised betting service. After WW2 the company hit hard times and was bought in 1956 by Mark and Cyril Stein for a mere £100,000. A little over 10 years later, and after gambling was legalised in 1961, Ladbrokes was floated on the stock exchange in 1967, and quickly built up a fleet of more than 1,135 high street betting shops. They also diversified and held many other business interests including Casino’s – but it 1979 scandal hit. After being found guilty of bribery and illegal marketing schemes Ladbrokes was forced to close its four London Casinos, taking 40% of the company’s annual profits with them. Fast forward to 1994 and Cyril Stein was effectively forced by shareholders to retire, and a new era in the businesses history began. Much of the residential and commercial real estate portfolio outside of the industry was sold off, and the company focussed its efforts on gambling, once again entering the Casino market. In 1998 Ladbrokes bought Coral for the first time, but it was not to last for long and they were forced to sell most of the company on again after the acquisition was found to be anti-competitive. However, in 2015 Ladbrokes tried again, and bought what was now known as the Gala Coral Group in a deal that didn’t complete until the end of 2016. Once again, the Competition and Markets Authority has identified issues with the merger and 350-400 shops had to be sold off to satisfy them. Eventually, though, Ladbrokes Coral Group plc was a reality. After all of that effort, Ladbrokes Coral Group was sold to GVC Holdings in a deal thought to be worth around the £4 billion mark. Whoever owns the brand isn’t really the concern of the man on the street, however, and to the millions of customers who have been through the doors of the 3,700 shops, as well as the 17,000 people who work in them – Ladbrokes is a British institution. Ladbrokes is a solid all-rounder. If you don’t have the patience to hunt for tip-top odds you can bet here safe in the knowledge that the price is fair and probably in the top percentile. It is also a good option for those of you who like to come up with your own markets rather than rely on what the bookies themselves can dream up. The Grid and the Exchange give Ladbrokes the edge over a lot of smaller companies and will suit both the Saturday afternoon sports bettor who is constantly on the move, as well as the gambling pro who enjoys the hunt as much as the kill. Yet more good news; help is available 24/7 at Ladbrokes. The Live Chat takes a bit of searching for but once you are in the Help Centre you will be able to access it, and if there is a queue you will be given a place so you know how long you might have to wait. The phone line is also manned throughout the night, and e-mail or a dedicated Twitter account are two other options at your disposal. They do have different numbers etc for different queries, so it is worth looking at the Contact page first. The Help Centre itself houses the FAQ which is broken down into topics and also searchable. It feels a little convoluted to use but given that they have so much information to deal with this is forgivable – but not impossible to improve upon. Punters seem to be pleased with the way Ladbrokes support them, and for a company of such size and renown, this is extremely encouraging. Ladbrokes seem to have a genuine connection with their customers and look after them well. Live Chat – It’s easy enough to access from the Help Centre, just scroll down and look for the green button. Phone – 0800 731 6191 is the customer support number, but use 0800 777 888 for telephone betting. @LadbrokesCare – You are sure to get a quick reply using this active account. @Ladbrokes is the one to follow for offers, updates, and comedy memes.